Don’t get all excited. Jittery Cook will be posting only once a week for the rest of the summer. Today is the culmination of the Turkey Farmers of Canada promotion week. To honor the occasion, there’s a turkey breast roll marinating right now in my Jittery Cook fridge. 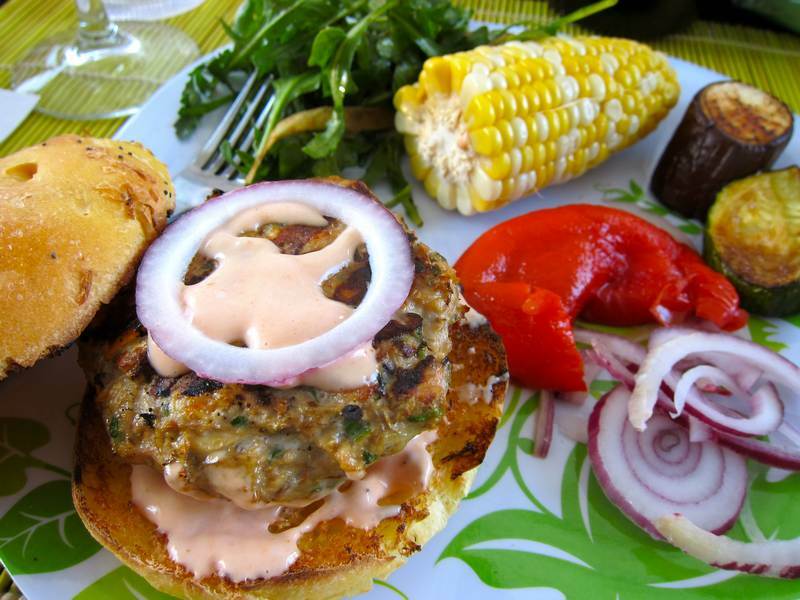 These BBQ Turkey Burgers with Russian Mayonnaise are moist and delicious. My inclination is to add as many vegetables as possible to every recipe. Combine shallot, scallion, parsley, mushroom, orange pepper, salt, black pepper, oregano, red pepper flakes, Worcestershire sauce and sun-dried tomatoes in a large bowl. Add the ground turkey. 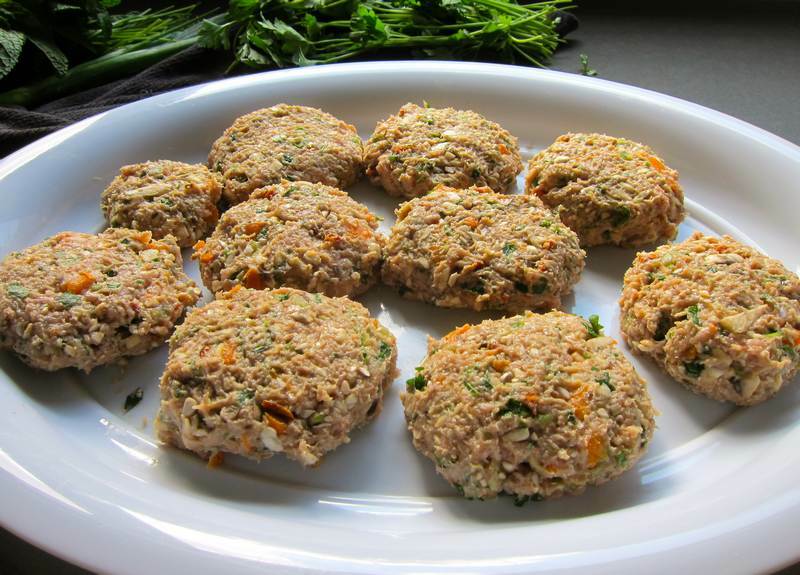 Form the meat into nine 4-inch patties, about 3/4 inch thick. Light a BBQ grill or preheat a grill pan. 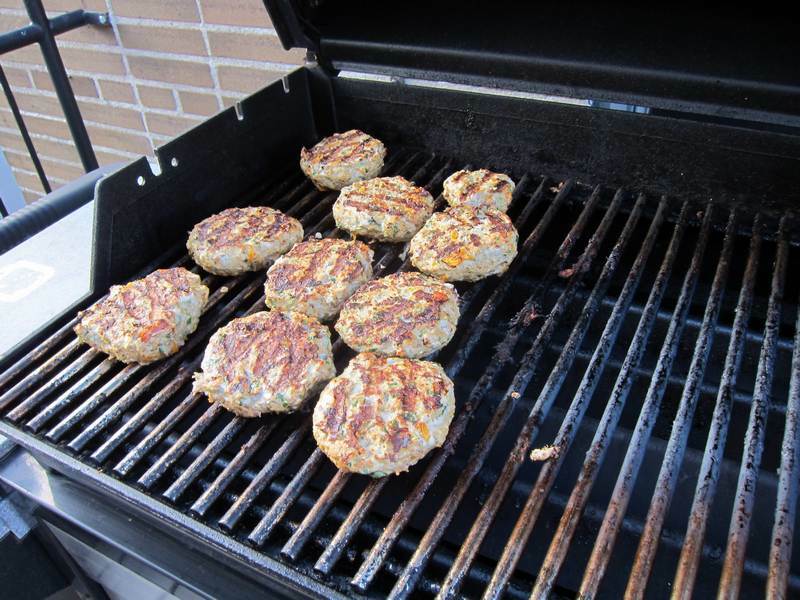 Grill over moderately high heat, turning, and grilling until a digital meat thermometer, inserted into the centre of the burger, reaches 165F. In a small bowl, combine the mayonnaise with the ketchup. Spread the Russian mayonnaise on the rolls. 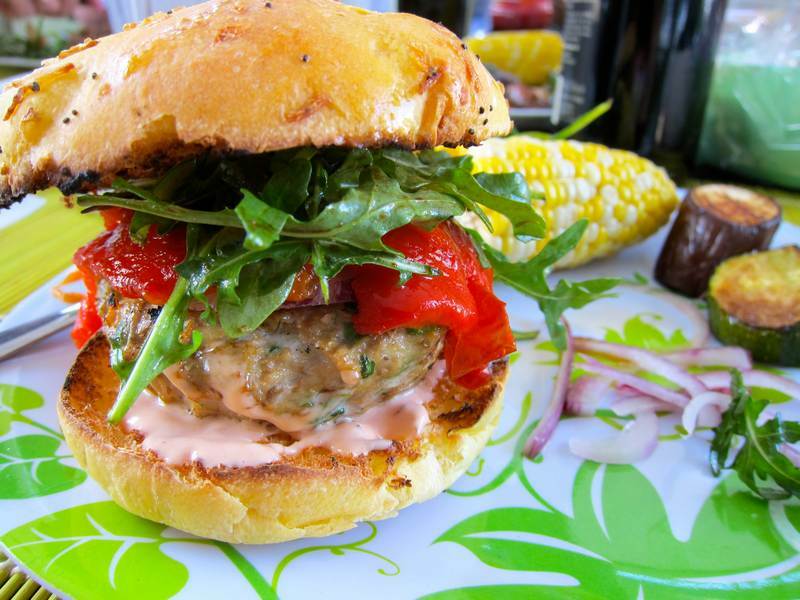 Top with the burgers, arugula, onion and tomato or roasted pepper slices. Enjoy the compliments! They are well deserved. Serves 6. Here’s a list of 101 books to read this summer instead of 50 Shades of Grey. Watch 9 BBQ videos for your best grilling season ever. Thank you to the Turkey Farmers of Canada for selecting Jittery Cook as your Quebec rep. Congratulations to Susie Martin, winner of the draw for the BBQ Turkey Prize Pack! And now, for the next contest: Either you subscribe to recipe2recipe or if you’ve already subscribed, you get a friend to sign-up. You will then be eligible to win your very own set of Jittery Cook grocery bags. Of course, your recipe suggestions are always welcome. 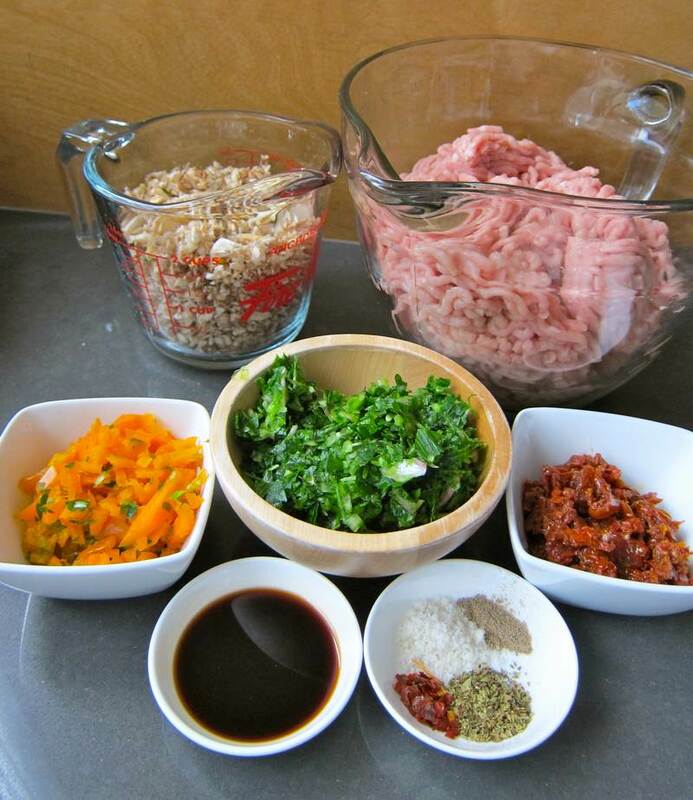 Where can you buy ground chicken or turkey? Carolyn – most grocery stores carry them regularly, depending on where you live. If not, ask the meat manager or a local butcher as they should be happy to stock it for you. I went to Costco. Any good butcher can produce either. Anybody know a good source? I have a manual meat grinder and I make my own. Very simple -you put the turkey meat (use both light and dark) into it and turn the handle. Meat grinders can be found at any Asian market. They cost less than $10. Now for a question, what dry cleaner do you recommend after I bite into that magnificent creation and it falls all over me. For this reason I began making flatter but same weight burgers. Looks super Holly! I will look into the Asian market meat grinders. Good tip. These look delicious Holly, thanks for another great recipe to try out. Delish! will definitely try it YOUR way! 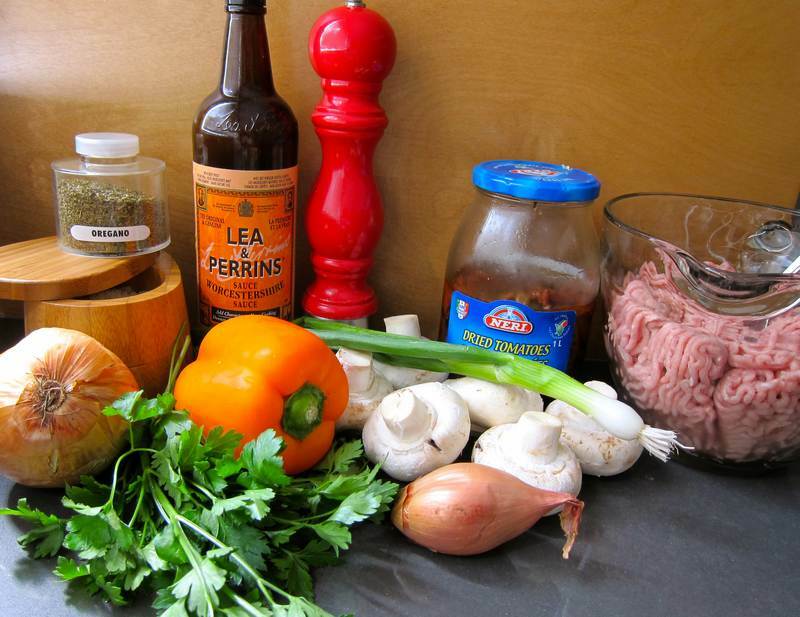 I usually make my burgers with grated zucchini but mushroom sounds like a plan! Looking forward to seeing those photos!